The Metrix DAA message displays have been designed-into control and alarm systems for many years. Although production is coming to an end due to component obsolescence, some models are still available from stock from Metrix Electronics. 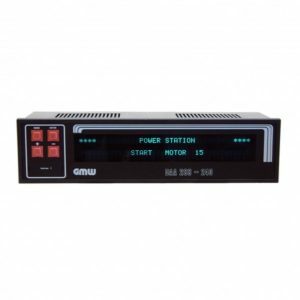 The units can be programmed via their front panel, via RS232 from a terminal emulator or using the factory MWTA configuration software (available in a config pack including factory lead - email us for more information). Please use the advanced filters below to select message displays for your application then click the product links for full technical information and buying details. Or call us on 01256 885940 if there's anything else you need to know. DAA 288-240B Intelligent Message Display with text memory – 24VDC. DAA 288-240C and DAA 288-240B Intelligent Message Displays with text memory and datalogging and some accessories – all ex-demo/used. DAA 144-120A Intelligent Message Display (without text memory). DAA 144-120B Intelligent Message Display with text memory. DAA 288-240A Intelligent Message Display without text memory – 115VAC. DAA 288-240A Intelligent Message Display without text memory 230VAC version. DAA 288-240A Intelligent Message Display without text memory – 24VDC. 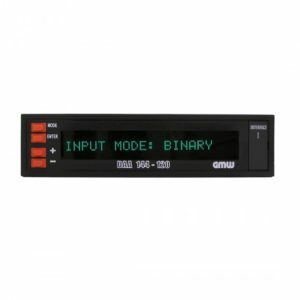 DAA 288-240B Intelligent Message Display with text memory – 115VAC. DAA 288-240B Intelligent Message Display with text memory 230VAC version.